Creating a unique and dynamic holiday display is equal parts vision and preparation. Whether you’re installing the Christmas tree with a sturdy tree stand or stabilizing your outdoor decorations, The Christmas Warehouse brings you the décor you love with the proper accessories for a safe installation. Woo your neighbours, family members, and friends with an impressive display of outdoor lights, motorized figurines, and dynamic holiday signage. 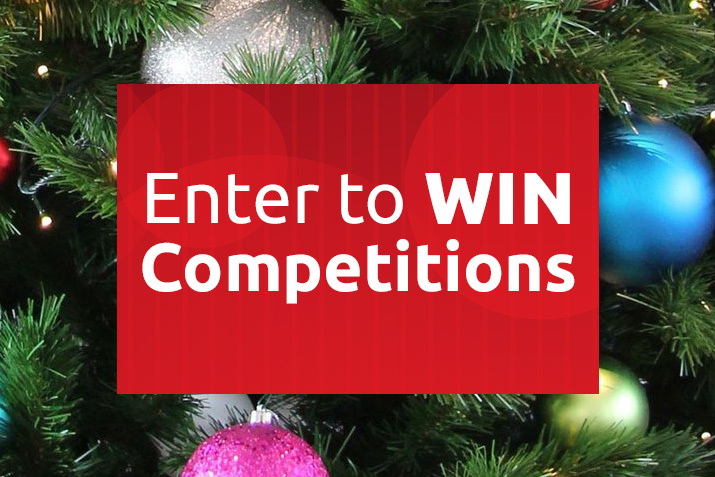 Opt for tall shimmering LED light trees, motorized globes, or animated characters to make your front lawn a neighbourhood hit this Christmas season. Create your very own Christmas wonderland with your favourite lights and moving figures to delight onlookers and give the gift of wonder. Anyone who’s decorated their home or yard for the holidays knows that the most difficult part is often finding ways to supply your lit features with the proper electricity. Even your animated lawn ornaments and figures will require an independent source of energy to keep them moving throughout the festive season. Aside from finding the right extension cords and placing your decorations, you may also be concerned about the all - weather suitability of part or all of your installation. From morning dew to heavy rain or snow, the changeable holiday weather provides an added challenge to ensuring the reliability and safety of your outdoor decorations. Cords or plugs that aren’t properly covered in wet weather can cause shortages or other dangerous situations, such as shock or ignition. Protecting your decorations is also about protecting your family from potential life - threatening injury and harm. The Christmas Warehouse takes your family’s safety as seriously as it does spreading the holiday cheer. Our wide selection of outdoor hanging hooks, cord covers, and power stakes will simplify your decorating process while ensuring that your displays operate seamlessly and stay protected through changing weather. Fix your lights firmly in place, manage your energy supply, or organize multiple cords with our light and display installation accessories. Avoid frustrating power outages, tangled lines, or potentially dangerous electric situations by planning ahead and using the proper items to install your decorations so that you can enjoy the holidays stress - free. You can rest assured knowing that your outdoor displays will stay safely lit throughout the lead - up to Christmas, letting you spend time on the things that really matter, like family cookie - baking and sending your holiday greeting cards. As a perfect way to minimize excess power cords and control your displays from one place, the powerstake mounts easily on your home wall or installs in a covert area of your lawn. The sharp spike base makes it easy to push into the ground, while wide divots stabilise the unit. For complex displays, opt for a multi - outlet box with a closable cover, easy - to - read test lights, and simple one - touch switch. If you don’t want to buy a full outlet unit, you can invest in a powerboard box to enclose your existing power board and maximize your available outlet space. Powerboard covers come with interior Velcro straps to secure and stabilise the power board, as well as custom - fit cord openings to protect sensitive electrical parts and keep your cords untangled. One - stop outdoor power socket units are a great way to set up your own electrical supply for your Christmas decorations without the need for professional assistance. Each power unit is specially designed for outdoor use, with waterproof socket locks, securely closing device covers, and easy - to - install mounting features. 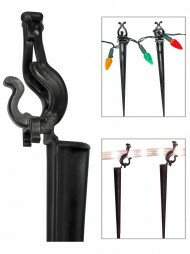 The Christmas Warehouse also offers a variety of holiday light installation hooks for your roof, gutter, windows, or other edging. 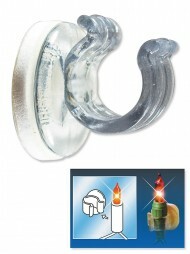 From stake light holders to suction cup and gutter hooks, our selection of Christmas light accessories will help streamline the process of hanging your favourite holiday lights. 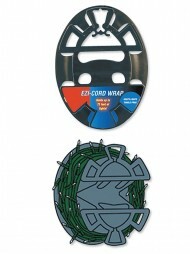 When the season is over, use our handy storage cord wrap to simplify your installation and avoid tricky knots in your holiday lights.